The PICKWICK 1974 to 1983. 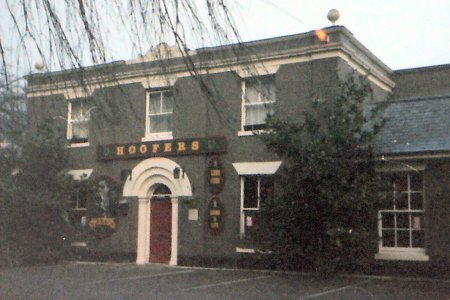 HOOFERS November 1983 to 1987. The PICKWICK again from 1987 onwards. Main structure dates from 1840 and above the centre parapet is a decoration of Acanthus leaves and two papyrus scrolls. Bold finials at corner of parapet. American bar type with emphasis on cocktails.